Have you ever tried playing pool with a child and found they have more fun pushing the balls around in the rack? 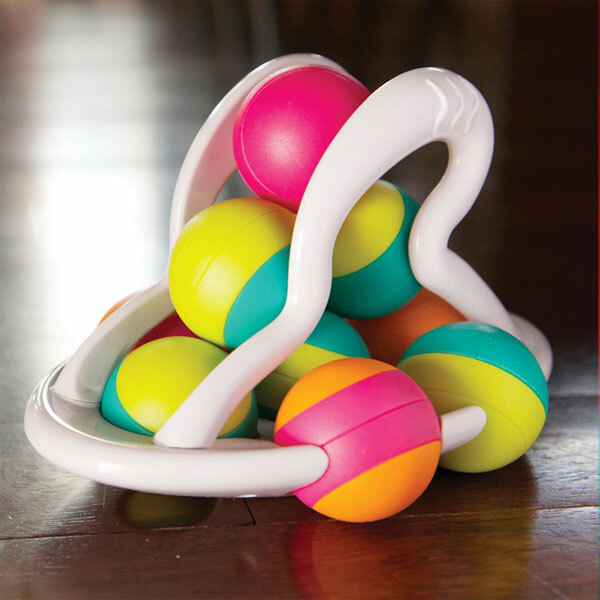 Rolligo takes the same concept and lets kids push around colorful balls for hours of fun. Grab the ten multi-colored spheres and easily stack them inside the special Rolligo rack. Give it a little push, and - VROOM - little minds light up with the delight as the vibrant colors spin in all directions. Safe for ages six months and up.